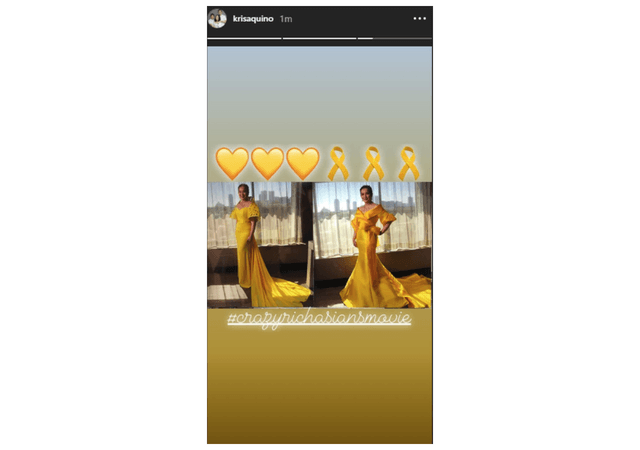 What a way to wear that Filipino pride! 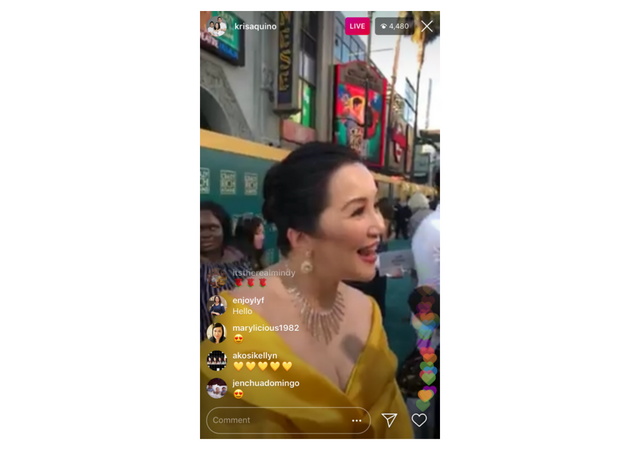 There's no denying it: Crazy Rich Asians is a BIG DEAL. It's the first major Hollywood production in 25 years with a predominantly Asian cast. 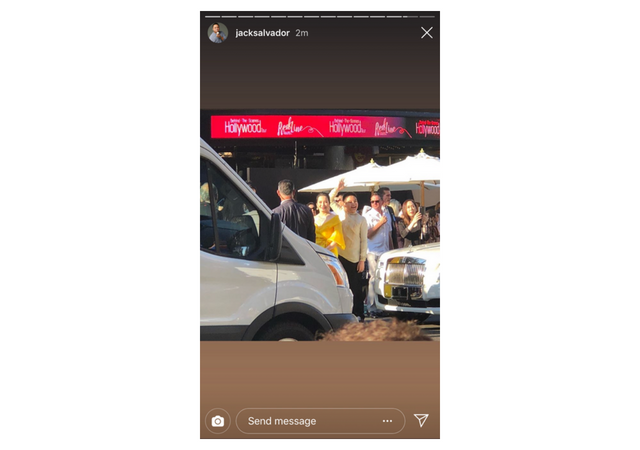 The film is based on Kevin Kwan's best-selling novel published in 2013, the first of a trilogy, and is directed by Jon M. Chu, who also worked on movies such as Step Up 2: The Streets and Now You See Me 2. 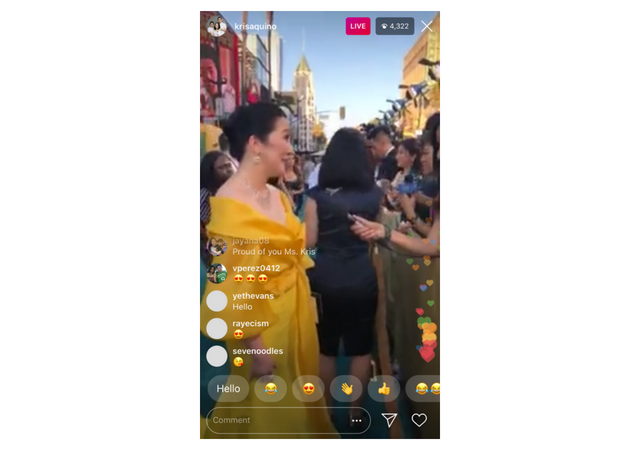 Today is the film's red carpet premiere in Hollywood and thanks to technology, we get to see what it's like to actually be there. 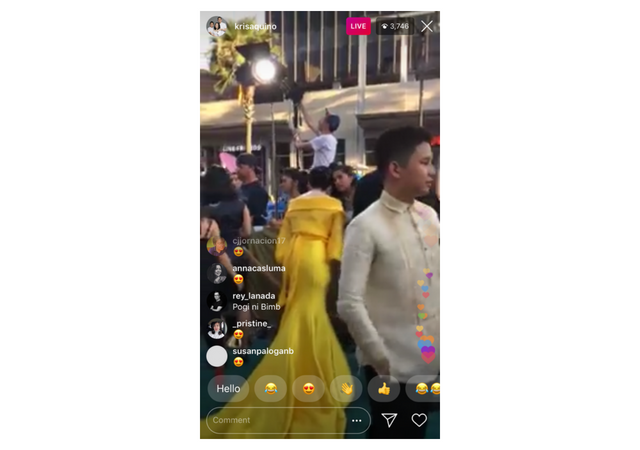 Kris posted a video featuring her outfit choices prior to the premiere on Instagram, yellow and pink gowns by designers Francis Libiran and Michael Leyva. 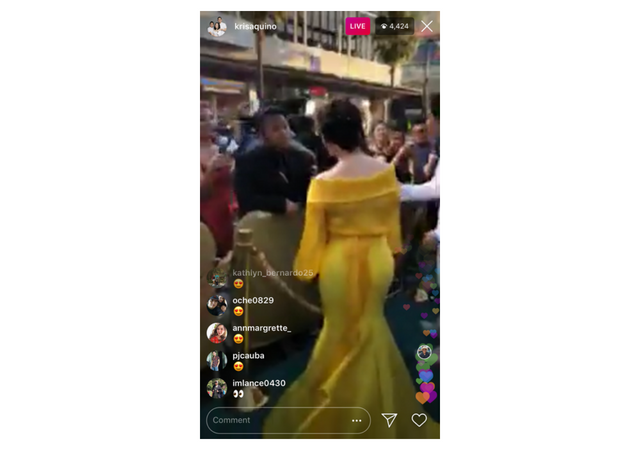 Her live video on IG shows us her final choice, a yellow off-shoulder creation by Michael Leyva. 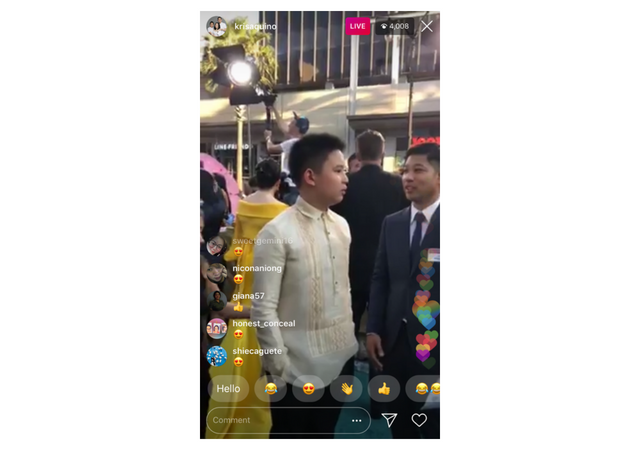 We even see Bimby in a barong! 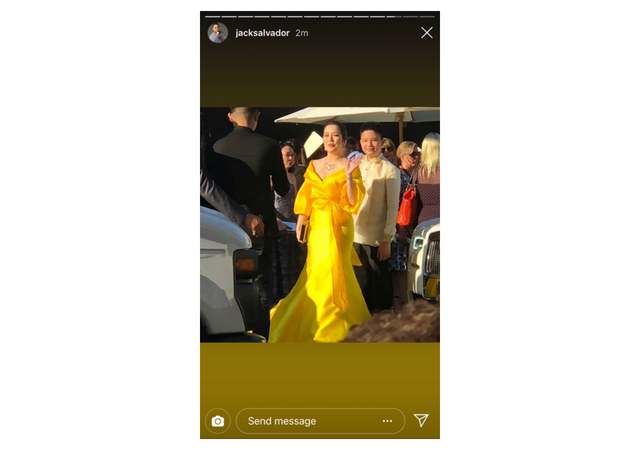 What a way to wear that Filipino pride! 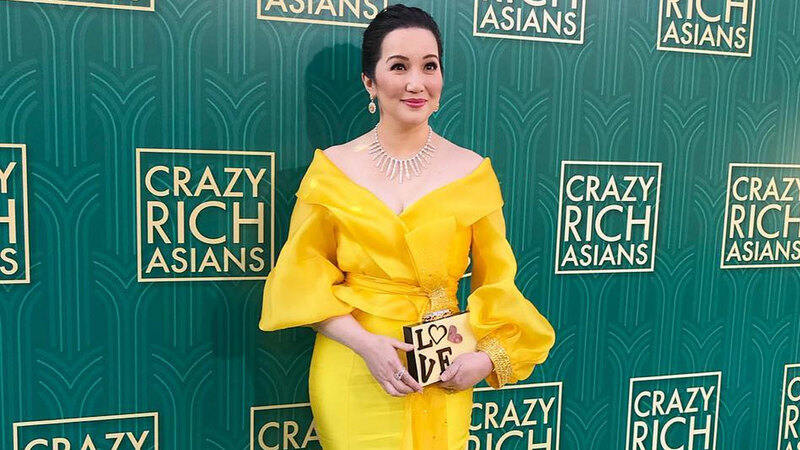 PSA: Crazy Rich Asians hits Philippine theaters on August 22.